Happy Release Week to Jessica Brody's UNFORGOTTEN, sequel to UNREMEMBERED! 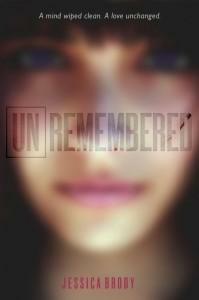 Haven't read Unremembered, the first book in the trilogy? Click here to learn all about it and read the first 5 chapters free! 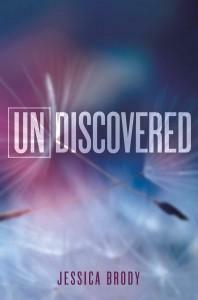 Also be sure to check out UNDISCOVERED, the eBook novella told from Zen's point of view! Grief at the death of oldest son John Cooper drives a wedge between his remaining family members. His parents find solace in a fringe Christian movement, which 17-year old Mara rejects, while 16-year-old narrator David tries to bridge all fissures. On the night that cult leader Sophia declares the Rush (Rapture) will occur, David and Mara return from a forbidden after-prom party to find their parents gone; the clothes left on their bed give the appearance that they vanished. Chapters alternate between “Now,” the time after the parents’ disappearance, and preceding years, with David recounting events progressively closer to the present. Suspense builds in both time frames: the circumstances of John’s death remain ambiguous until the end, while the mystery involving the Cooper parents unfolds as David, Mara, and close friends unravel clues. A homeschooled, competitive baseball player, David wrestles with his parents’ rigid and bizarre biblical interpretations, which ironically prods his own spiritual journey in a different direction. Smith-Ready (the Shade trilogy) combines a thought-provoking exploration of faith with high-stakes family drama to create a page-turner with real heft. Ages 14–up. By the way, if you're looking for romance, there is one in TSOS, though the review doesn't mention it. I do think, however, that the core relationship in the book is the one between the siblings (or maybe I should say among the siblings, to include the dead older brother). That was my intention from the start, and I'm glad it's being read that way. This is my feeling toward reviews in general: I'm less concerned with their overall positivity/negativity than I am with whether the reviewer gets the book. I'm happy when they understand what I was trying to do, even if they think my attempt was unsuccessful. That's what tells me whether I did my job or not. Blog tour for GRIM, featuring my new story "Figment"! Next Tuesday, February 25, an exciting new anthology, GRIM, will be released, featuring 17 of my favorite YA authors (including me!). The short stories are Grimm fairytales told with a twist. There's a fantastic variety of tales here, some modern, some historical, some humorous, some creepy. Add GRIM to your Goodreads list. My story, "Figment," is a retelling of "Puss in Boots." Just like in the original tale, a third son inherits a cat upon the death of his father (the first and second sons get a house and a car, respectively). But just like in "Puss in Boots," the cat is much more than he seems. Especially since he's a stuffed cat. He's about three inches tall. 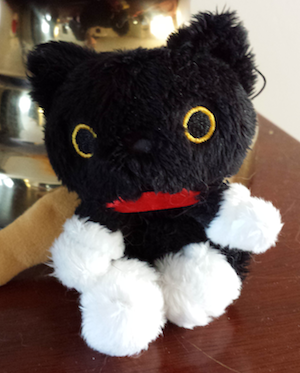 And it's this little guy, not the seventeen-year-old boy, who narrates the story. See, a "figment" (a paranormal creature I invented) is kind of a combination imaginary friend/good-luck charm. Figments have existed ever since humans have had imagination. They dwell in material objects, but they themselves are eternal. They are experts in human emotion, but they themselves feel nothing. Or so they claim. So yeah, writing from the perspective of a character who can't move and has no emotions was a real challenge! Despite this, I think "Figment" is one of the lighter, sweeter reads in this generally dark collection. Anyway! The GRIM Blog Tour is underway today, running from now until next Friday. PLUS, tomorrow there'll be an extra special something to show you guys. Here the extra special something! 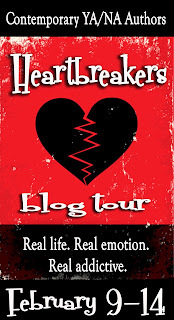 Last day of the Heartbreakers Tour - win a Kindle and a bundle of ebooks! This week, several YA and NA authors, including me, have been visiting various blogs and answering questions about love, books, music, love, and post-apocalyptic survival (that last one might just be me). At each stop, you can enter to win a Kindle loaded with ebooks by all 14 authors! My last stop is the home of one of my long-time reader friends, Jennzah! Find out my favorite read of 2013 (I cheated and named an entire trilogy) and what I'm looking forward to most in 2014 (hint: it's blond and muscular and fights for justice). I'm also at the blog of the tour's lovely host, author Judith Tewes! Find out how This Side of Salvation helped heal my broken heart. Judith also asked me my top 5 most heartbreaking songs and movies. LOTS of tears were shed during the compilation of this list. I needed massive ice-cream therapy afterward, but it was worth it to share my favorites with you. Little Library Muse asked whether I preferred writing the bad guy or good guy. Also, find out which scene in This Side of Salvation always melts my heart. For What It's Worth (run by one of my favorite people, Karen) asked what I would need in the event of an actual Rapture, and how David and Bailey from TSOS would spend Valentine's Day. A Life Bound by Books asked me what I hope readers will take away from TSOS, and how I'd described David and Bailey in 5 words or fewer. A Simple Love of Reading asked us to describe our most romantic moment, and which literary character embodied romance for us (hint: the one I picked is in an upcoming movie). Writer on the Edgeeeeeee (Ashley Poston) asked us to describe our first kiss and when, during the writing of our story, we realized this is it. As promised, I've posted a PDF version of "Shattered" (Zachary's novella, Shade series Book 3.5) with original photos taken by Jeri & Friends. It's here on my website as a free download, as are the Kindle and ePub editions. Feel free to print out the PDF and share it as much as you like. Special thanks to Judy Gabbett (@shellseeker93) for taking some of the best pics in Glasgow and Edinburgh! For those who won an illustrated version of "Shattered" in past giveaways, rest assured I will have those printed, bound, and mailed to you as soon as possible. Oh! Speaking of photos, I finally dove into Pinterest and made a board for the Shade series. So far it's all photos I've taken of settings from the books. Eventually I might add links to articles, etc., where you can learn more about all the magical ingredients that went into the series. Enjoy! Coming soon: A Pinterest board for This Side of Salvation, my April 1 YA contemporary novel. Then after that, a Pinterest board for every single interest I have ever had. Then after that, I attend counseling for the relapse of my internet addiction. Yay! Kirkus (yes, KIRKUS!) loved This Side of Salvation! Religion requires sacrifice—but for David, the prophecy of the Rush end-of-time event has particularly bad timing: baseball season and prom night, when things are sure to heat up with girlfriend Bailey. Introspective and angry, David carries a heavier burden than most: His older brother died in Afghanistan, and his strongly religious parents joyfully anticipate leaving this world for the next, where the family can again be whole. They turn first to a new church where David feels welcome, then commit to the words of prostitute-turned-preacher Sophia Visser and her end-times prophecy—but David and older sister Mara have plenty of reasons to want to stay in this world. In wonderful irony, when the appointed Rush hour arrives, David and Bailey are finally getting physical (responsibly, both having purchased condoms), while David’s parents mysteriously disappear without a trace at the foretold time. Weaving the present and the recent past, Smith-Ready builds tension and mystery as the family’s tragic past and David’s internal struggles emerge bit by tantalizing bit. Agnostic Mara, scientifically oriented Bailey and gay best friend Kane all provide support and opportunity for thoughtful exploration of religious chasms that have baffled many adults; questions of faith, family and responsibility are juxtaposed with a fast-paced and entertaining “what if” tale with—like life—no guarantee of a happy ending. A big round of applause for CVS, sacrificing short-term profits not only to reinforce its brand as a health-care provider, but to help their customers by adopting the Hippocratic Oath: first, do no harm. Yes, they still sell junk food and lottery tickets and, in some states, alcohol. Yes, smokers can still go to a hundred other places to buy cigarettes. But as a practicing ex-smoker*, I can tell you that these things do make a difference. The people this will help the most are those trying to quit. Every day, quitters-in-progress go into a store to buy cold medicine or milk or baby food or sunscreen or a million other things we stop by places like CVS for. They're not thinking of smoking; they're thinking what they're going to make for dinner, or which Valentine's card to buy for their significant other. Then they go to check out, still ruminating on Things That Aren't Cigarettes. They get out their wallets or open their purses. While the cashier rings up their stuff, the quitter-in-progress lets their gaze wander, as gazes do. And there, behind the cashier, is a wall of temptation. A wall of the thing that could make them feel, for 7-8 minutes, relaxed and alive and at peace. A wall of the thing that wants to kill them. Maybe they resist, maybe they don't. But studies have shown that our ability to resist temptation is a depletable resource. ("Many who resist unhealthy food and fruitless websurfng all day, and who might prefer to go to bed early after a light dinner, find themselves staying up late to watch TV while gorging on junk food.") It's why diets based on giving up foods we enjoy are so hard to sustain. Basically, resisting temptation doesn't make you stronger; it makes you weaker. Avoiding temptation is much more effective. It's why I've never watched a single episode of Mad Men and never will (I've been warned it will make me want to smoke again, even after 20 years). So yeah, CVS isn't solving every public-health problem by ceasing to sell cigarettes. But they're making quitters' and ex-smokers' lives a lot more livable. And for that, I applaud them. *I came up with the phrase "practicing ex-smoker" because plain old "ex-smoker" feels overconfident**. As we learned from the tragic death of Philip Seymour Hoffman, vigilance is key with addiction. **(Footnote to a footnote--I think that's a first!) Also, when I was quitting, telling myself I could NEVER EVER EVER EVER EVER have another cigarette just made me panic and want them even more. It worked better to take it one day at a time. It still does. It’s taken nearly a week for the Columbia Mall shooting to sink in for me. I lived and worked in Columbia, Maryland, for five years and was proud to call it home, yet this past week, whenever I saw the tragedy referenced on the news, I turned my thoughts away. Of all the recent shootings, why did this one give me that resigned, "Well, what can ever be done?" reaction that so many people experience when they hear this sort of news? Maybe I just couldn't bear to think about something like that happening in my former town. It was easier to grieve for people far away, in Connecticut, Colorado, etc. I could look into the faces of strangers and feel their pain, but not my former neighbors'. This morning, all at once, the sorrow is hitting me like a freight train. I'm grieving for those who died, for their families, and for every person who calls Columbia home, who will never be able to enter that mall again without feeling afraid and sad and bewildered. A lot of people (including me) make fun of malls for being shallow and fake, for being altars of conspicuous consumption. But in many suburbs, malls are THE central gathering place. They're a warm shelter in cold weather (on the day of the shooting, the temperature was in the teens) and a cool shelter in hot weather. It's the first place many suburban kids can be free from the watchful eyes of parents and teachers. Go to any mall an hour before opening and you'll see "mall walkers," older people getting the exercise they need to stay healthy and independent, without worrying about the heat or cold or traffic. The young and old flock to malls because they're supposed to be safe. Today is another sub-freezing Saturday in Maryland. Thousands will go to the Columbia Mall to eat, shop, work, or just hang out with friends. But also to mourn and remember. Part of my heart will always belong to that quirky town, with all its lofty, planned-community ambitions and perplexing flaws (seriously, there's not one straight road in that entire city--a sense of direction will get you nowhere, literally). My husband and I bought our first house in the Columbia Mall (our realtor's office was there--it's not like picked out our house from the shelves of Hot Topic). I ate many a slice of pizza in the same food court that, a week ago, was littered with shotgun-shell casings. Today, that part of my heart is broken. Columbia doesn't deserve this pain. No city or town or suburb or village or borough deserves this pain. And yet it happens, again and again and again. I don't know the solution. It's undoubtedly a complex one, involving changes to our culture, our laws, and our mental-health care system. Not just one of those things, but all. 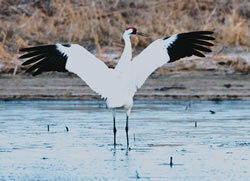 I do know that numbness, resignation, and indifference are not the solution. As hard as it is, we must mourn every new victim of violence, no matter their age, race, gender, or zip code. A drug dealer shot or stabbed to death in East Baltimore is no less of a tragedy than a clerk in a Columbia mall. Every life starts with potential, and every killing cuts that potential short. So I welcome this broken heart today, because nothing is sadder than ceasing to care.